January 28, 2019 March 1, 2019 / Ash W.
As many of you know, our family consumes a plant-based diet. It has been one year since our transition to this food change, and it has been a quick year, full of growth, trial and error, and a deeper passion for this lifestyle. We are excited to continue learning about our health, the environmental impact we are making and the changes that need to happen, and about ways we can continue to consciously make positive, responsible decisions. What are some of the surprising things you found out weren’t vegan? This is great question because we often find ourselves running into barriers when it comes to certain products. Sometimes when we think something is vegan, we can be shocked to learn that it isn’t the case! What is the difference in the amount of money you spend on food? This is another great question because when we first began this journey, I assumed that buying more produce and dry goods would put us over budget. In fact, there hasn’t been much of a difference in our budget. It can get more expensive when you buy vegan substitutions to replace animal ones (yogurt, cheese, butter, creamer), but there is no need to rely on these substitutions. Additionally, buying processed items or frozen meals can really add up. For instance, the $4 I would spend on a carton of organic dairy yogurt can be put towards buying something healthier like another bag of avocados, 4 bags of pasta, or 4 cans of beans. Therefore, the money you used to spend on animal products can be put towards better options. Purchasing in bulk can also help to reduce budget, as items like flour, oats, dried beans and lentils and legumes, and nuts and seeds can often be used for more than one meal. Making homemade meals also helps to keep your budget lower because you aren’t relying on frozen meals, processed food, or dining out; rather, those types of items are an occasional indulgence. And it helps to think of it this way: I am investing in my health NOW instead of paying for it LATER (through treatment, care, or even death). What are your kids’ favorite and least favorite things to eat? A good question for parents! I also assumed when we started this journey that our kids would be pickier eaters and not like the food we were making them. And while there are some things they don’t enjoy, most foods they find delicious. Our food items are now so much more colorful which makes it fun and enticing to kids! Favorite foods: ALL fruit (I haven’t yet come across a fruit they don’t like! ); avocados; beans (of all kinds); tacos; pasta; soup (all kinds, usually; though my oldest daughter’s favorite soup is lentil soup); hummus; salsa; veggies (like olives, carrots, cucumbers, red peppers, artichokes, potatoes, broccoli); tofu scramble; oatmeal; nuts (walnuts, almonds, cashews, pistachios, peanuts); peanut butter; bread; pizza; popcorn. They like food in general, really! They would eat all day if I let them. There appears to be a lot of conflicting [mis]information about this subject. It’s hard to know what the truth is, really. But in our searching, we have asked ourselves this main question: Who is making the most profit off of our food choices? And that would be the meat and dairy industry. The American government spends $38 billion each year to subsidize the meat and dairy industries, but only 0.04 percent of that (i.e., $17 million) each year to subsidize fruits and vegetables (PETA). Traditional diets call for large amounts of protein, about 10% of calories, when in reality, we need very little, about 5-6%. Because the USDA recommends this 10%, people sometimes are eating more around 20% in order to ensure they are getting the recommended amount. This high amount of protein consumption increases the risk for health complications (T. Colin Campbell, Forks Over Knives Documentary, Extra Features). Additionally, all plant sources provide the protein our bodies need. The only reason humans get protein from animals is because the animals eat the protein (plants) first, and humans then eat the animal flesh (Dr. Milton Mills, What The Health). Besides protein, animal products do not contain any necessary nutrients that humans need. Animal products contain cholesterol and fat (both bad) and lack fiber, antioxidants, and phytonutrients (Forks Over Knives). 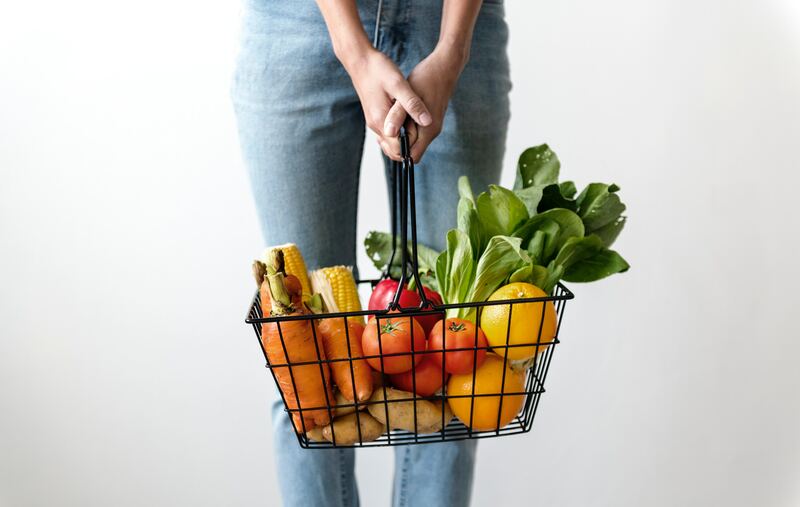 When following a plant-based diet, “many chronic diseases can be controlled, reduced, or even reversed by moving to a whole-food, plant-based diet. Scientific research highlighted in the landmark book The China Study shows that a plant-based diet can reduce the risk of type 2 diabetes, heart disease, certain types of cancer, and other major illnesses. Many people also report bigger fitness payoffs, more energy, reduced inflammation, and better health outcomes after making the switch” (Forks Over Knives). “A plant-based diet, rich in fruits, vegetables, whole grains, and legumes is full of fiber, rich in vitamins and minerals, free of cholesterol, and low in calories and saturated fat. Eating a variety of these foods provides all the protein, calcium, and other essential nutrients your body needs. It’s important to include a reliable source of vitamin B12 in your diet. You can easily meet your vitamin B12 needs with a daily supplement or fortified foods, such as vitamin B12-fortified breakfast cereals, plant milks, and nutritional yeast. Those who eat a plant-based diet lower their risk for heart disease, type 2 diabetes, obesity, and other health conditions” (Physicians Committee for Responsible Medicine). I can throw a lot of facts out there – but then you may throw a lot of other “facts” my way. Whose to say who is actually correct, right? I do believe there is a growing body of evidence that clearly shows our bodies do not need animal foods to survive, live, or thrive—and that the opposite is true, that animal foods are a risk to our health. But in the end, I think it comes down to another question under all of these questions: Who are you going to trust? For us, we took a bet on some doctors who convicted us. There was some information that made us feel that if it were true, then ‘why would I continue eating any other way? !’ Our lifestyle change has only been positive for us—we feel better and are growing in our awareness of what is helpful or hurtful. We have become so passionate about this lifestyle in the past year and we hope to continue learning and growing more in the years to come!